A Ford F150 recall has been announced over the risk of seat belt fires. Here’s what we know about the Ford F150 recall. Ford (NYSE:F) notes that the recall affects some 2 million F150 trucks. This includes select F150 Regular Cab and SuperCrew Cab trucks with models years ranging from 2015 to 2018. According to Ford, the driver and front passenger seat belts can set the vehicle on fire. This is due to “excessive sparks” created by the seat belt pretensioners when they deploy. These sparks can ignite gases present in the lower portion of the B-pillar. This can result in materials, such as insulation or carpet, catching fire. These fires can spread to the rest of the vehicle, which means the issue is possible even if the truck doesn’t suffer major damage. According to Ford, there have been 17 reports of smoke or fire in the United States and six in Canada. However, the company notes that there have been no reports of any injuries or accidents in connection to the issue. Owners of Regular Cab vehicles will also see dealers modify back interior panels during the repairs. Ford notes that all of this will take place at no cost to the owners of the vehicles. You can follow this link to learn more about the Ford F150 recall. F stock was down 1% as of Friday afternoon. 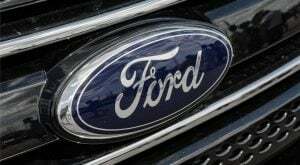 Article printed from InvestorPlace Media, https://investorplace.com/2018/09/ford-f150-recall-seat-belt-recall-info/.